Discussion in 'Questions and Info' started by CM Fragola, Jul 9, 2018. Protector's Guardian Earring has been renamed to Hero's Earring. P.Crit/M.Crit power +15%, Atk.Speed/Casting Speed +5%. Hero's Elixir When used, recovers 7000 HP, and the remaining power restores CP. 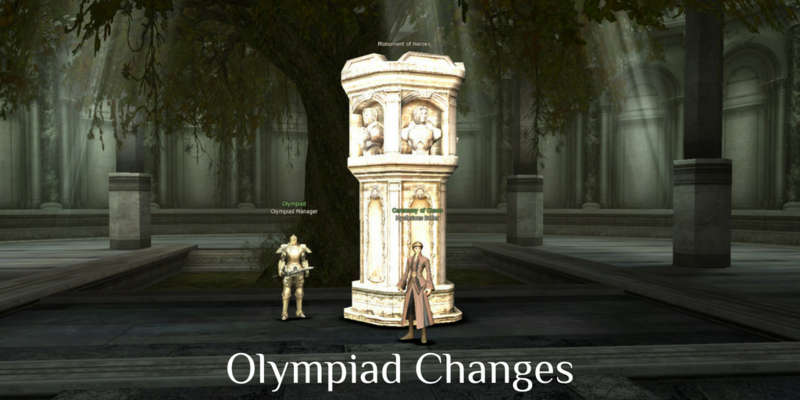 You can purchase them at Olympiad Manager or Mysterious Butler. Please note that in this is a preliminary version, the final version of rewards and translation may be changed. For the final information, please, refer to the final official patchnotes. fake death bug will be fixed? and what re-use for that? Am I wrong or this item already exists in our version ? Hero's ring 30 day or permanent? if i understand correctly it was: 15% p.crit dmg. 15% p.skill/m.skill crit dmg. OP for daggers. it says: maks mp 33, maks CP 10%. chance for some of those debuff attaks 15%. and then most important part: p.crit power, and p.skill / m.skill power 15%. since when rings like aq/baium/trasken add crit dmg for archer skills? those works only for /attack type crit hits. and only for dagger it works different.. for blows and for skill crits (which is 2x dmg). or my game mechanics knowledge is outdated in this topic? And if they give 15% p skill and 15% normal crit, it will be better for dagger than trasken.